I entered my 30’s this year and while I may not have prominent lines and wrinkles just yet, I do notice fine lines under my eyes. I’d be lying if I said that their presence doesn’t annoy me. Not to mention, it is frustrating finding something that can help me reduce these fine lines, even if it is just me that sees them. Alurent Anti-Aging+ Instant Erasure Serum is a patented, new skin care product that tightens skin to visibly lift as it smoothest creases and wrinkles. It tightens and rehydrates skin in just 90 seconds. It can be used as a temporary injection-free alternative that quickly and effectively reduces the appearance of facial lines and wrinkles. It can even be used with makeup. I am a big believer that make-up can be used to enhance your beauty. It can also mask the imperfections we all have. When I share pictures online, I’ve applied foundation, contoured my face and have hidden my fine lines. You will, however, find the odd morning selfie or pictures without make-up. I’m perfectly comfortable with or without make-up, though I can’t say it doesn’t help a lot! I was more than happy to give this serum a go. I’m always trying to find ways to minimize my foundation use, since it clogs my pores and causes even more problems. To try a serum that works in 90 seconds? I’m game. Especially when the promise that the combination of carefully chosen ingredients will not only have an instant effect but, when applied daily, help the skin regain a radiant and younger appearance over time. I applied some eye shadow, eyeliner, mascara, blush and a little bit of lipstick. I skipped the foundation, opened my bedroom window to let in natural light and snapped a pic with my front-facing iPhone camera. As you can see, I have a bit of puffiness and fine lines under my eyes. I applied the serum under my eyes, in seconds I began to feel a bit of tingling and dare I say, a tiny sting. Nothing alarming. I felt immediately tightening, almost as if I was getting what I imagine would be a face lift. The results remained for the rest of the day and the tightening lessened. When I touched under my eyes, it felt tight and a bit chalky to the touch. It did what it promised. The only thing I will say is that you must be sure to spread it evenly, if not you might end up with thin but, visible white film on the skin. 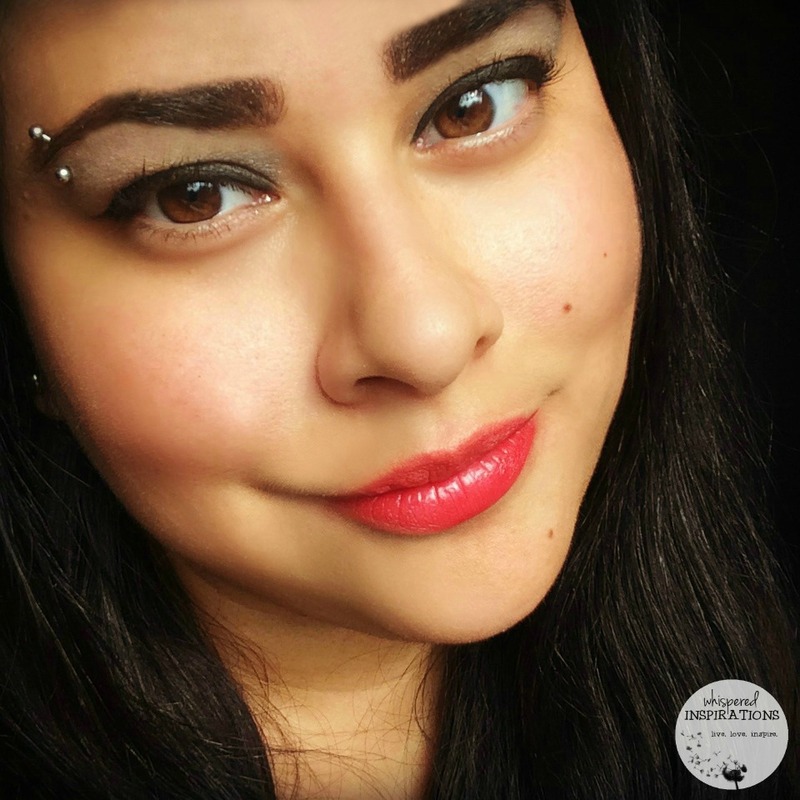 It did tighten my skin but a few small lines and a little bit of the puffiness remained. I’m pleased to know that this can be an alternative to “hiding” fine lines and can really improve my skin over time. No problem, I was shocked to see the results that a few other ladies had. 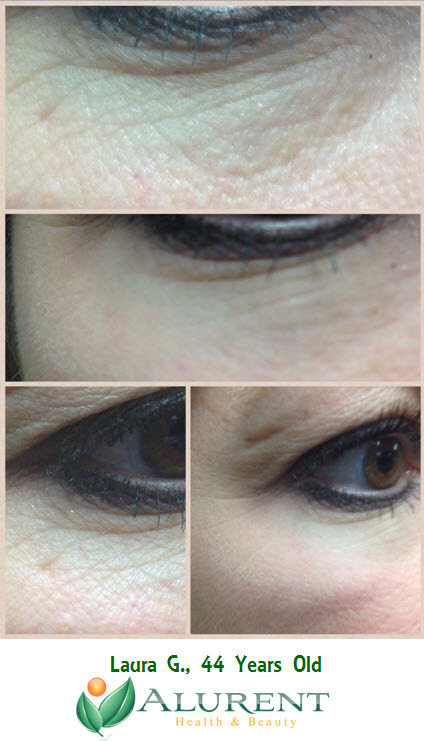 I’m sharing Laura G’s results, you can really see the wrinkles and lines diminished. This truly gives me a lot of hope. 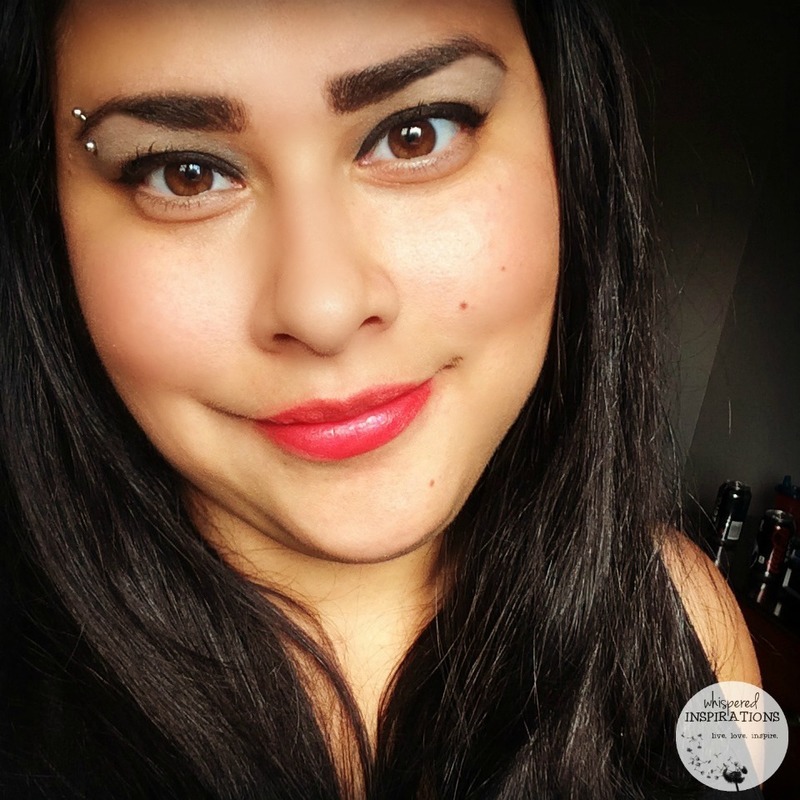 While I’m perfectly comfortable in my skin, I’m happy to know that I have options available that don’t require me to go under the knife when I get older. Considering, that really isn’t an option I’ve ever considered. The results are amazing! All Whispered Inspirations readers can try the serum with the special SHOP50 code. 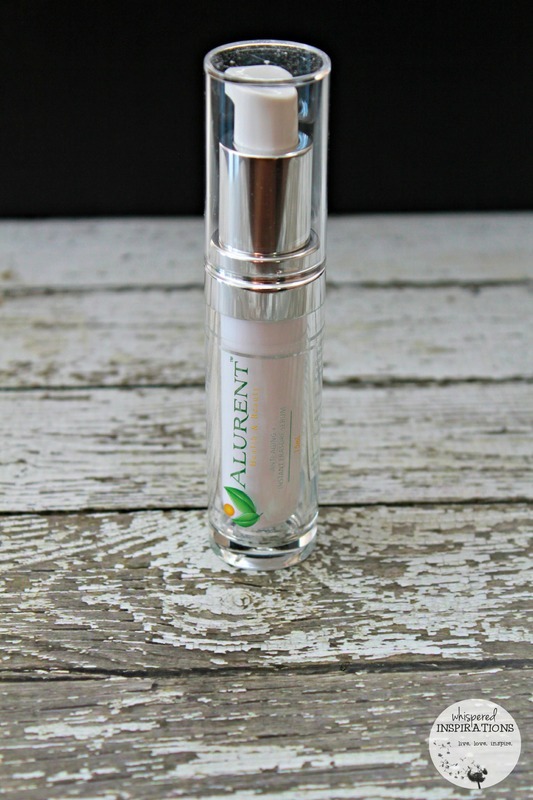 You can get the Alurent Anti-Aging+ Instant Erasure Serum discounted from its regular price of $79.95. Now you can remove all the frustrations of finding an anti-aging serum that shows results. Now I can forego my foundation and be happy with the reduction of my fine lines. 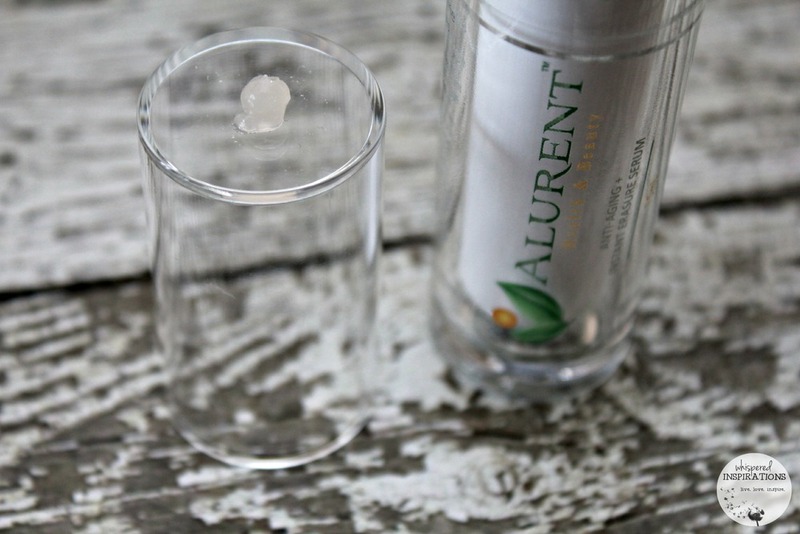 Learn more about the Alurent Anti-Aging+ Instant Erasure Serum, here. When did you start noticing wrinkles or fine lines? For a limited time, use the special shopping code SHOP50 to discount your purchase of new Alurent Anti-Aging + Instant Erasure Serum to $50 plus free shipping at . This is more than a $30 savings! I received product to review through partnership with Alurent. All the opinions included in my review are my own. Previous Post: « New Car Face Contest: Shopping for A NEW Car? Show Your #NewCarFace and Win Up to $25,000 to Pay Off Your Car Loan! I have a few little laugh lines, but they just started and aren't too bad yet – thankfully! This is awesome. I need a new serum. You're gorgeous! I see no lines whatsoever on your beautiful face! You are so sweet, they are fine but, they are there! I decided long ago that I can't combat ageing, either you look young when you're not (a cousin of mine is 79 and if you guessed her age it might be mid fifties!). I do find it amazing how much money the industry makes on products to reduce wrinkles and lines.